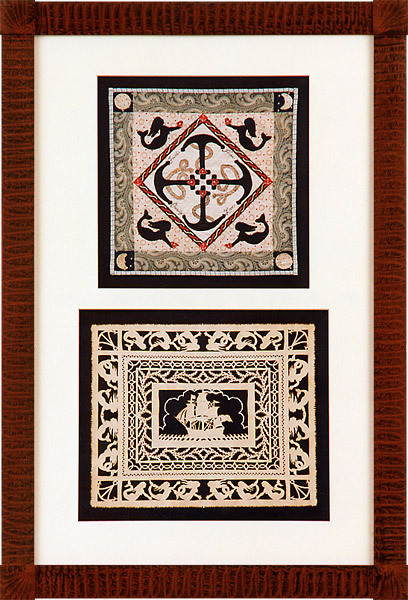 The pieces shown here are a collaborative effort between Pamela Dalton and Kate Adams. 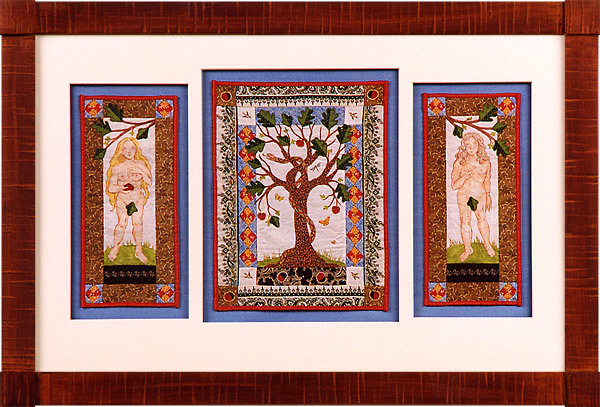 On the quilt above, Pamela has used her skills as a painter to produce the figures of Adam and Eve. These figures, as well as some of the other embellishments, are hand painted on cotton with heat set fabric paint. 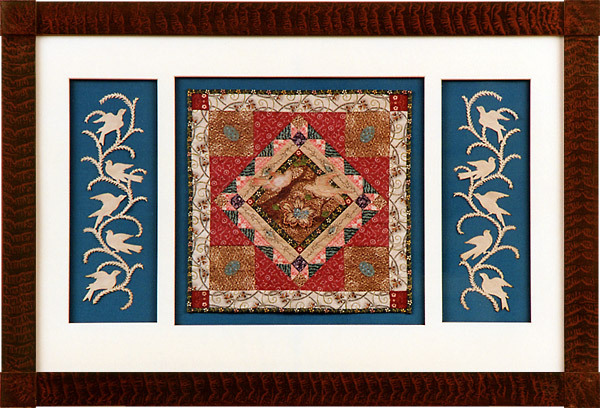 Pamela has also added the cut paper or "scherenschnitte" to the three quilts below.